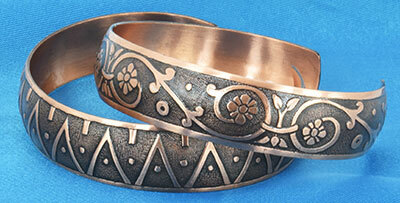 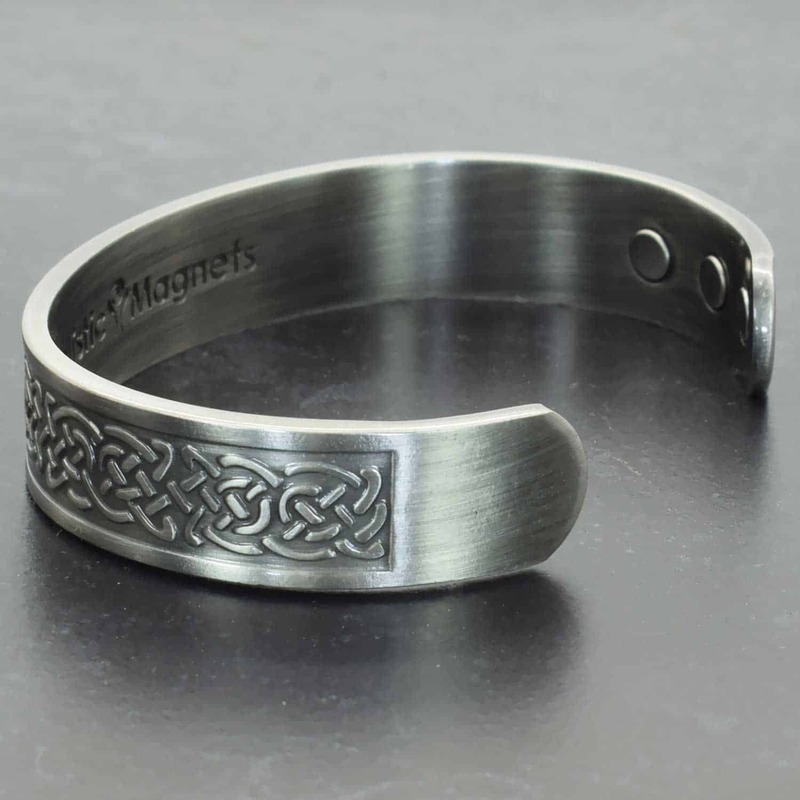 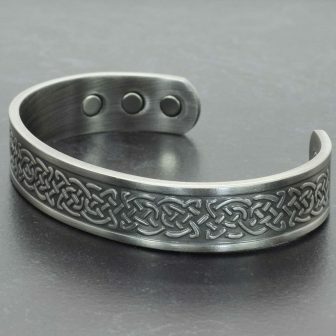 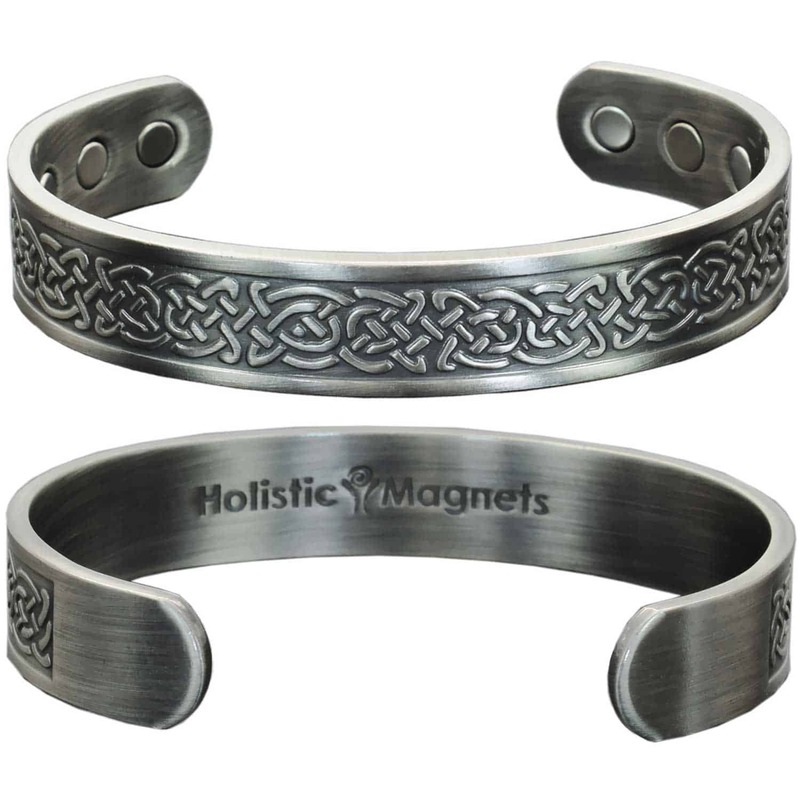 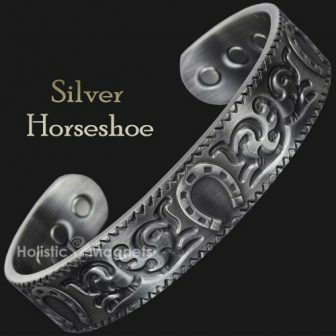 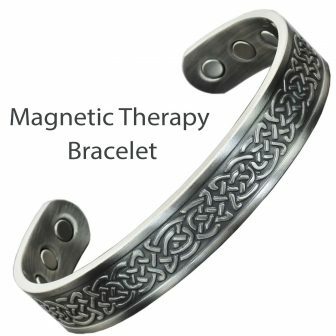 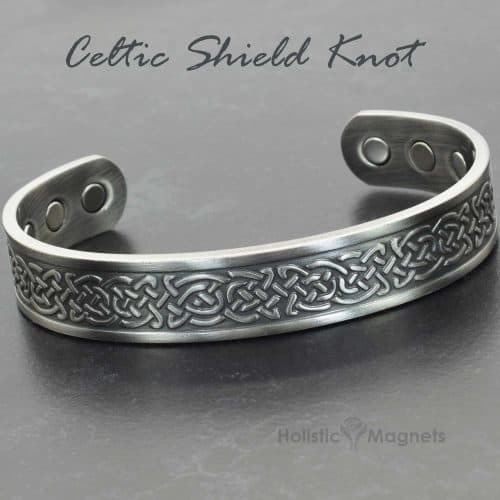 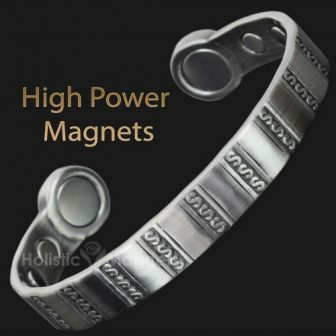 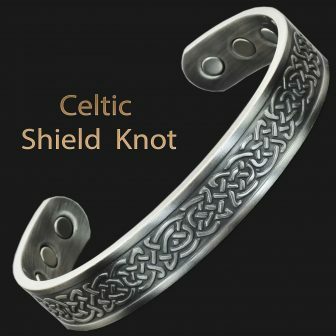 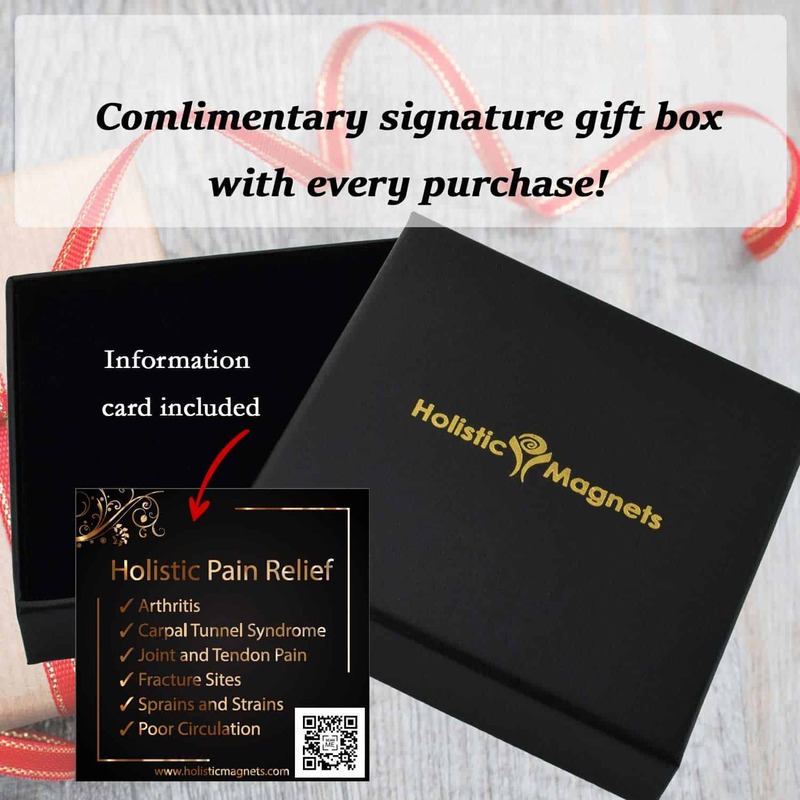 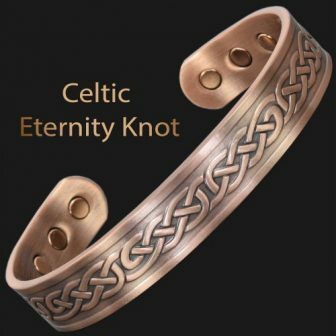 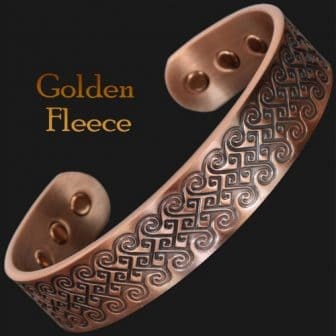 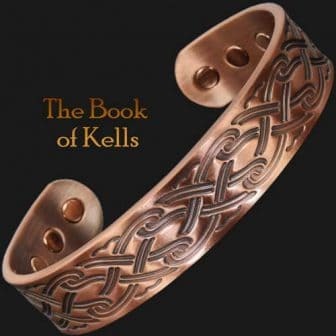 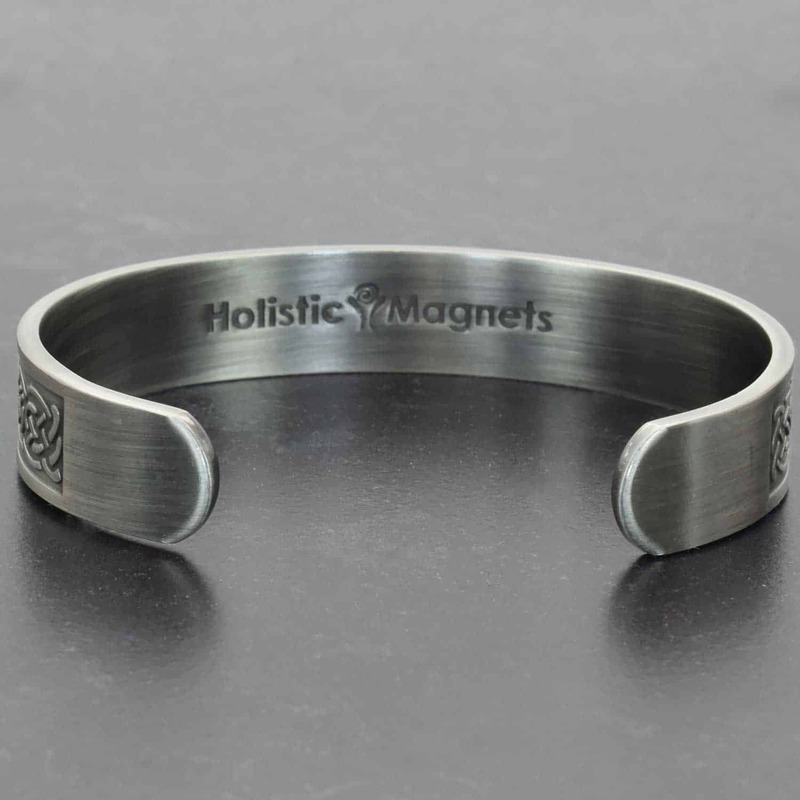 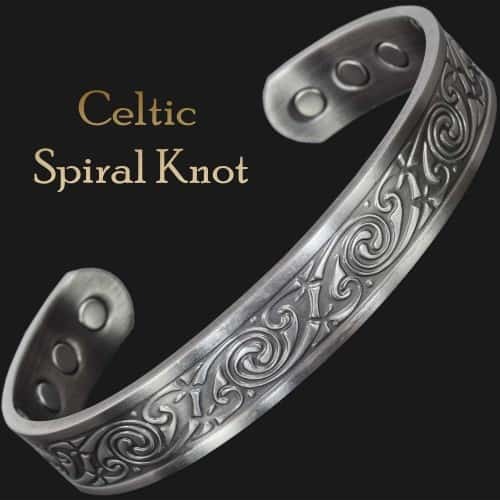 This magnetic bracelet for pain features traditional Celtic shield knot pattern – a symbol for protection from danger and warding off evil spirits. 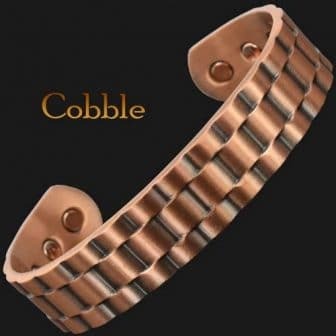 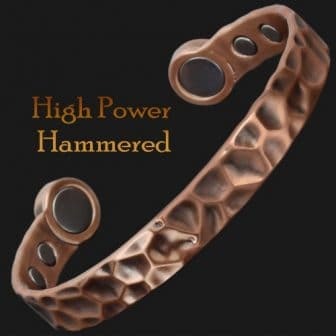 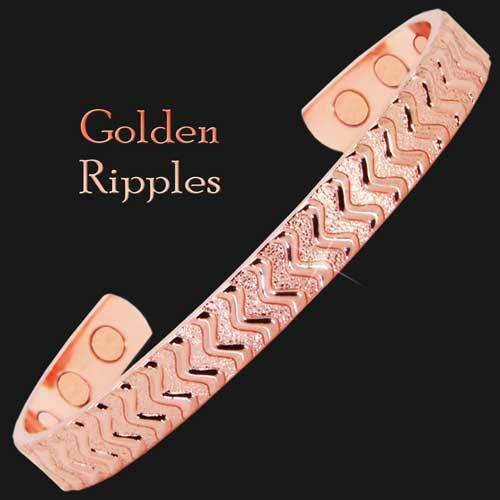 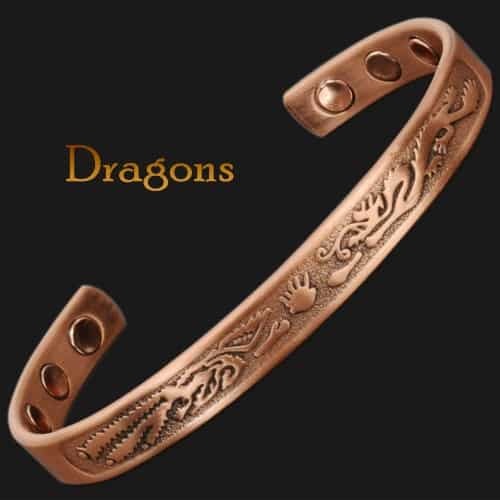 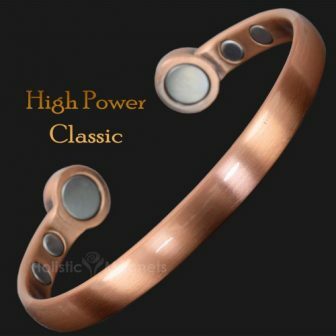 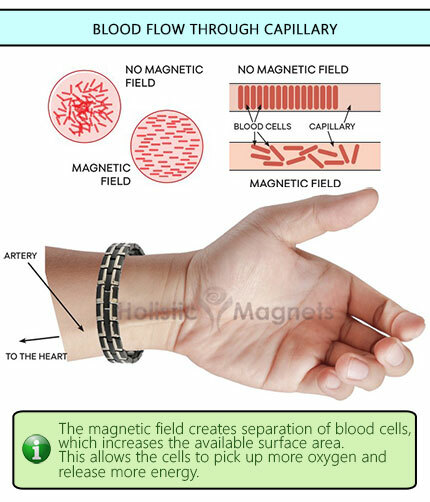 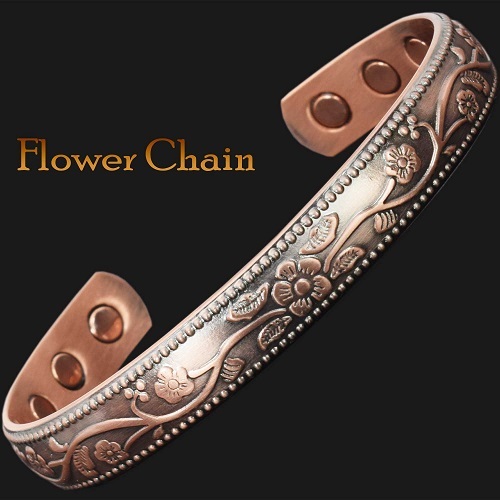 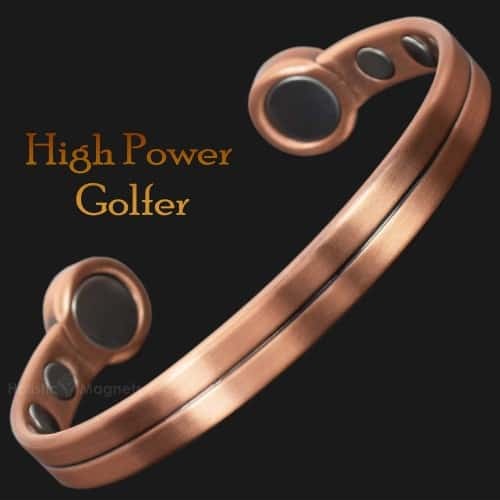 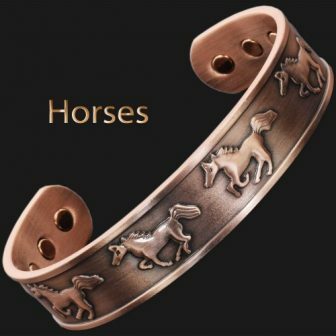 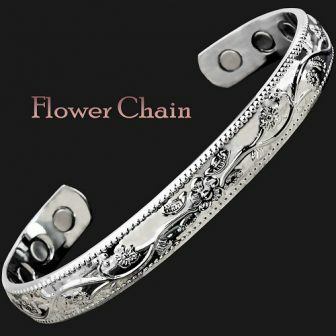 Hard wearing, hypoallergenic pewter coating prevents the bracelet form tarnishing and makes it an ideal accessory for people with sensitivity to copper, dermatitis or eczema. I didnt notice about it being covered in the silver. 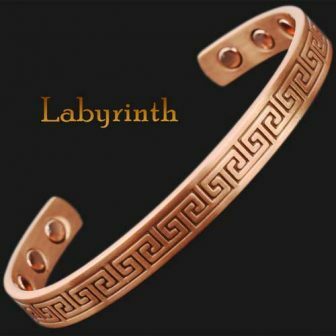 But I wouldnt change it. 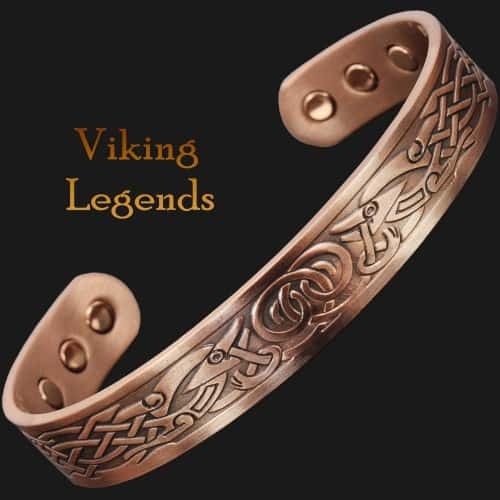 Love the coloring on it. 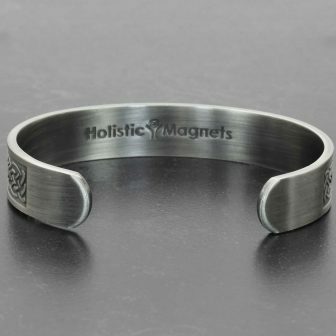 It has definitely improved the stiffness in my ring finger. I would definitely order from them again. Thank you from a satisfied customer..